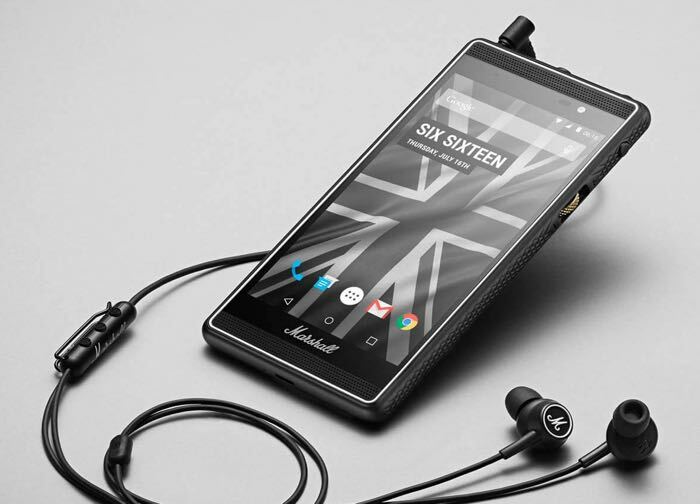 Marshall Headphones is well known for their range of speakers and headphone and now the company has announced its first smartphone, the Marshall London. The Marshall London comes with a 4.7 inch IPS HD display with a resolution of 1280 x 720 pixels and the device is powered by a Qualcomm processor and also comes with 2GB of RAM. Other specifications on the Marshall London include 16GB of built in storage, plus a microSD card slot for extra storage. The handset also comes with front and rear facing cameras, on the front there is a 2 megapixel camera and on the back there is an 8 megapixel camera with auto focus and a flash. The Marshall London also features a 2500 mAh battery and it comes with Android 5.0.2 Lollipop, the device is designed with music in mind and it comes with a pair of Marshall Headphones, the handset is priced at SEK 4,995 which is about $590, more details at the link below.